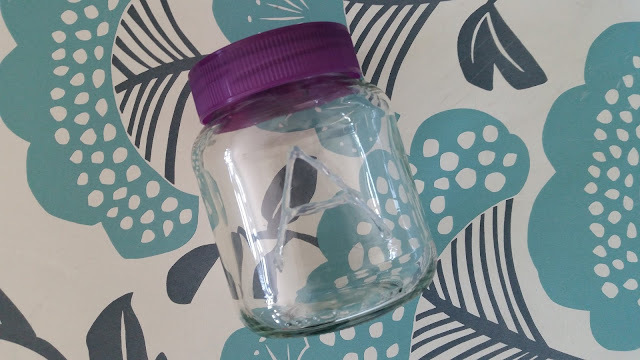 Recently I've seen loads of cute mason jars on social media, so I decided to try and make something that looks pretty similar to them at home! The DIY worked really well and it was super duper easy, so obviously I'm going to share it with you guys! First of all you need to make sure that your jar is all clean on the inside and that any labels have been removed. Plug in your glue gun and wait for it to heat up then use it to 'draw' whatever you want on to your jar. I just made a letter 'A' for the first letter of my name, but you could do a shape, pattern or anything else. Let the glue dry and harden before moving on to the next step. 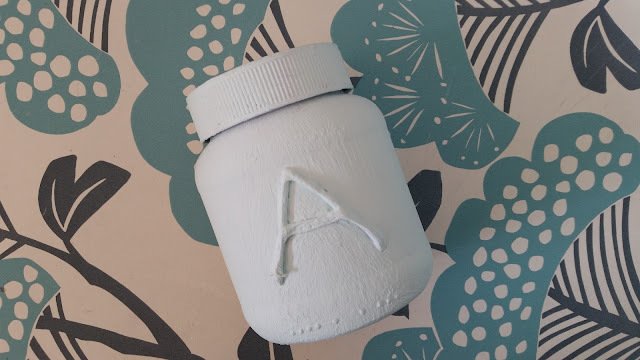 This final step is probably the most time consuming part of the whole DIY, but you basically just need to paint over your whole jar. To get the best results, don't apply a really thick coat of paint at once, but do a few thin coats, remembering to leave it to dry in between each coat. Once my jar was complete, I actually sprayed it with a bit of perfume to get rid of the smell of paint! As you can see, this DIY is super easy and you need hardly any supplies. 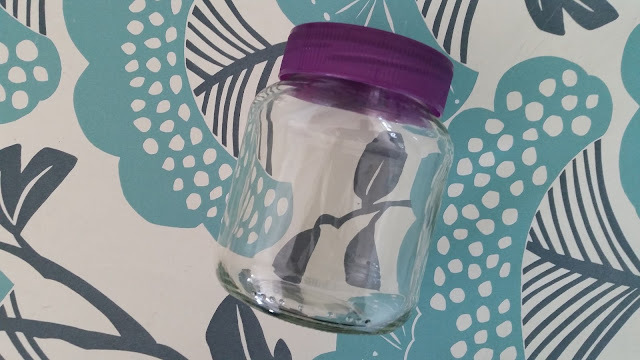 Have you tried any other DIY's with jars before?